The London theatre scene is famous all over the world, and rightly so. Few cities can match its breadth and depth. The options range from big, vibrant and lavish to simple and serious. Some of the shows are brand new and some are old favourites. Others are making a comeback after years of being on the shelf. It’s summertime! The days are long and the nights light up with excitement. This year’s productions have been running for a while, all of the kinks have been worked out, and both professional reviewers and London theatre fans have picked their favourites. 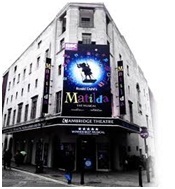 There’s no better time to go out to a show, especially in the west end, on the Strand. Incidentally, you can still see a top quality production of Billy Elliot, if you’re so inclined. It’s at the Victoria Palace Theatre. 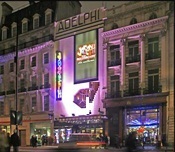 Singing in the Rain, new and also at the Palace, and the Lion King, still at the Lyceum, are also reputed to be top quality, light entertainment. Finally, if your ideal night out in London does not involve signing actors, you probably already know that War Horse, at the New London Theatre, is unmissable. Eugene O’Neill’s masterpiece Long Day’s Journey into Night is well acted at the Apollo, on Shaftesbury Ave. If you need a laugh, then the Wyndham's Theatre’s production of Abigail's Party will not disappoint. Don’t miss the exciting plays, new and continuing, that London has to offer this season. Nothing can compare to a night out at the theatre! Hi it's me, I am also visiting this web site regularly, this web site is really good and the visitors are in fact sharing nice thoughts.